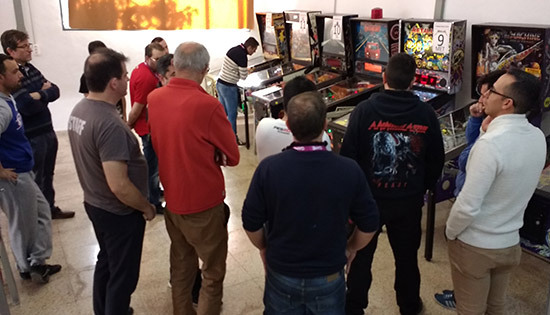 Pinball News hadn't visited a pinball tournament in Spain since the country hosted the European Pinball Championship in Madrid in 2012. 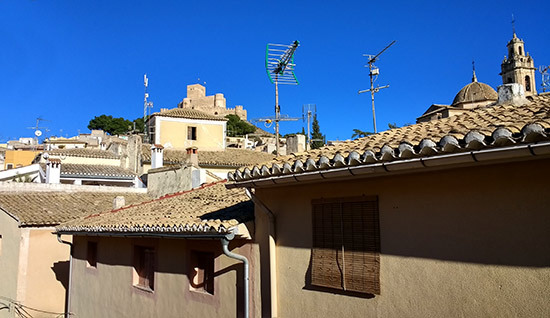 So a return visit was long overdue and we were very happy to rectify this with a trip to the town of Biar, around 50km north of the south-eastern coastal city of Alicante. 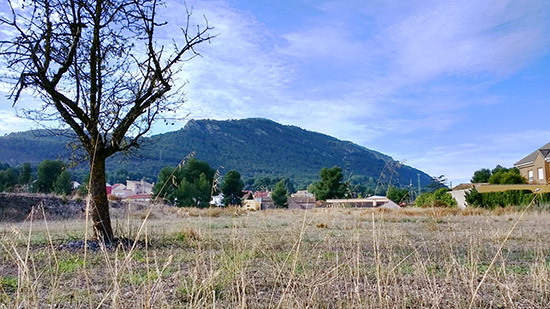 Biar is a charming town located amongst a range of hills with plenty of classical Spanish architecture, culture and, thankfully, weather. 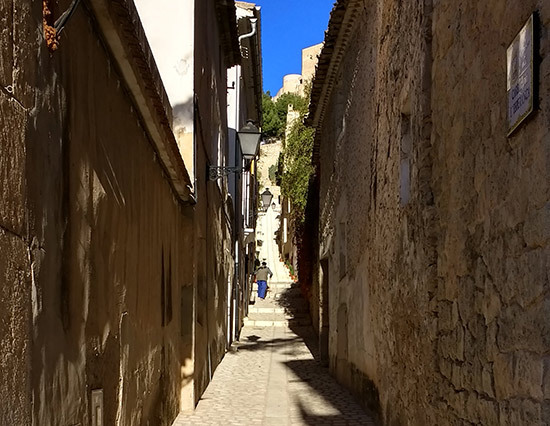 We arrived on Friday afternoon and explored the back streets before enjoying some tapas and a local beer or two, and visiting the venue for the weekend's competitive events. 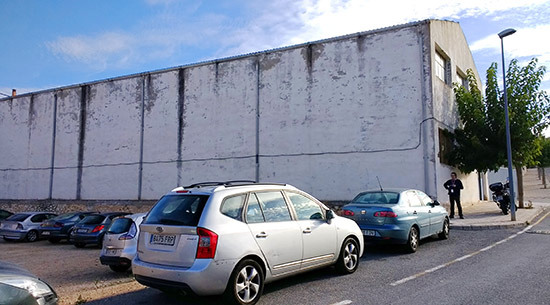 The venue for the tournament was a large white-painted building on the south-eastern edge of town. 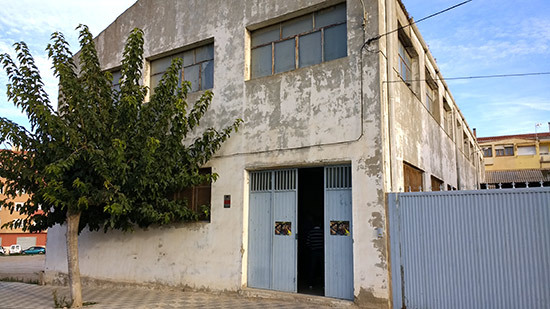 We were given a guided tour of the building, looking at the tournament areas and delving into the storage space at the back. 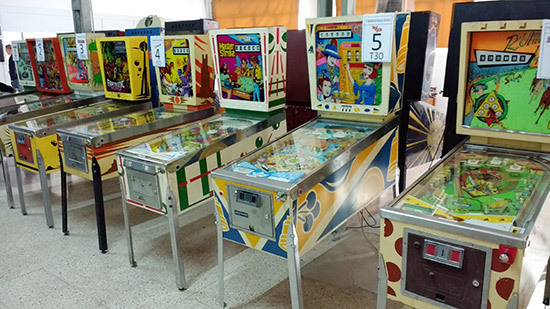 In both we found some interesting original and Spanish-tailored pinball machines. 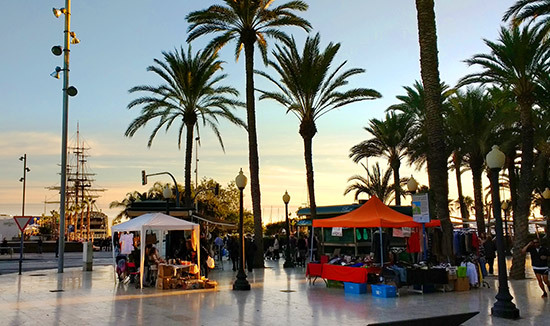 The weekend consisted of a modern tournament, a classics tournament and three side tournaments. 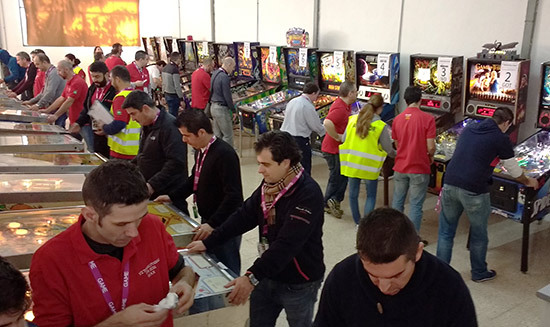 Both the modern and classics tournaments were played on twelve machines, all of which needed to be played. 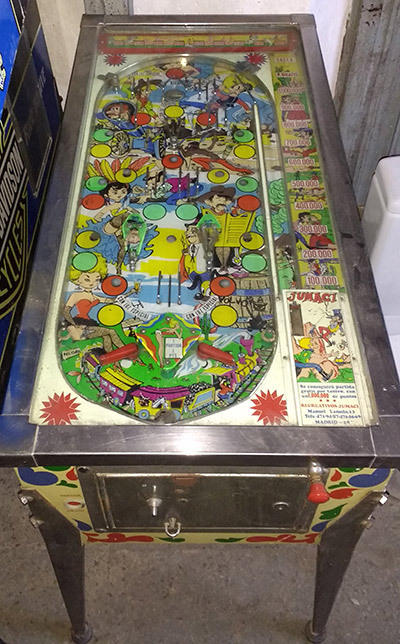 In the repair area we saw an unusual pinball from Jumaci of Madrid which had no backbox, used lamps to indicate the score, and featured outward-facing flippers. 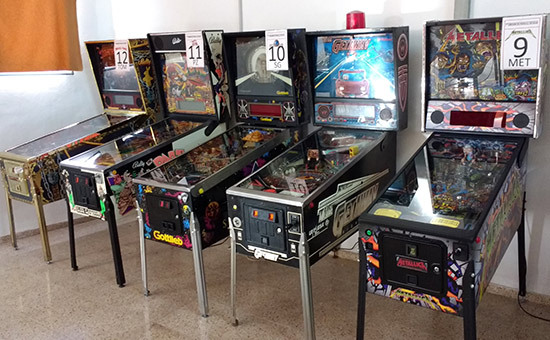 Along with the tournament machines, there was also a bank of free-play practice games. 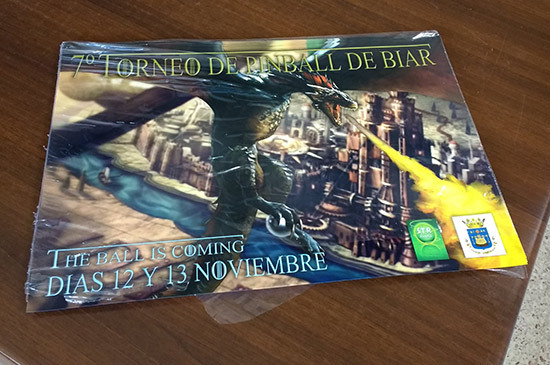 These also featured some Spanish games not often seen outside of the country. 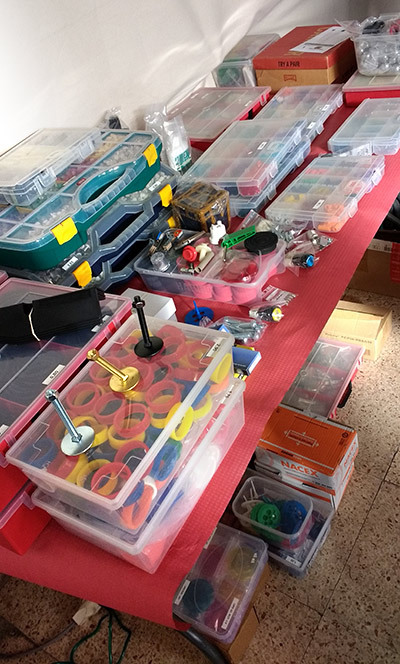 In addition to the machines there was also a parts table where common pinball spares could be purchased, and a high-quality table football (foosball) game which was priced at €1 per game. 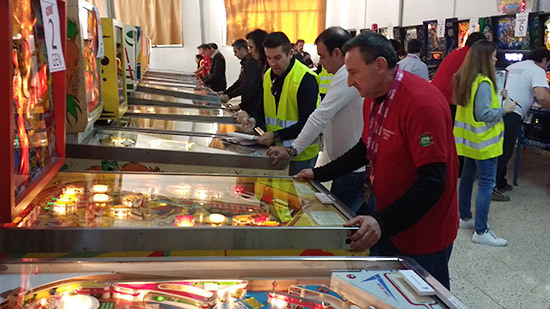 Registration for the Torneo de Pinball de Biar cost €60 ($63.77 or £51.34) which included an individualised red tournament T-shirt complete with embroidered initials and country flag, a personal player card and a tournament poster. 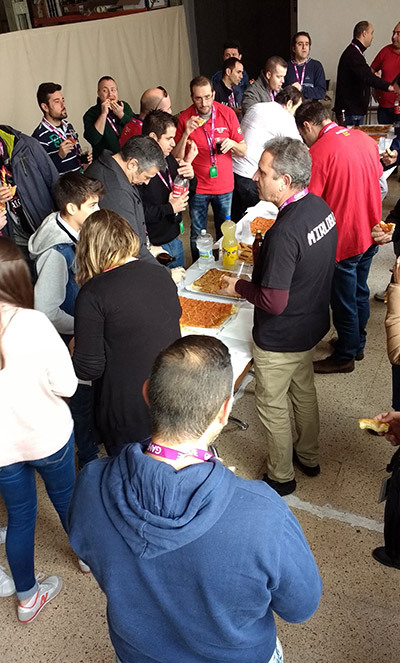 Registration also got you a hearty breakfast of various types of breads topped with meats and sausages which was called cocas, all of which was accompanied by beer, soft drinks and water. 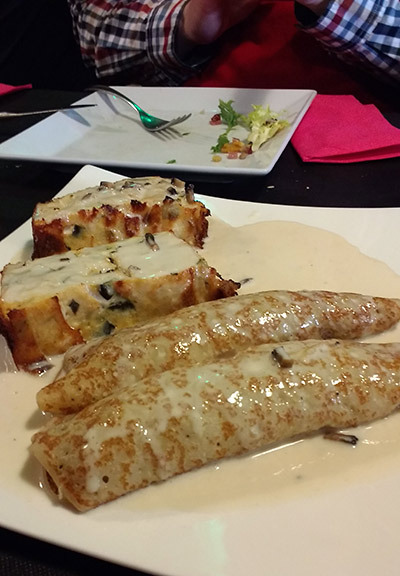 Although we'd already eaten breakfast at the hotel the breakfast here looked too good not to sample. 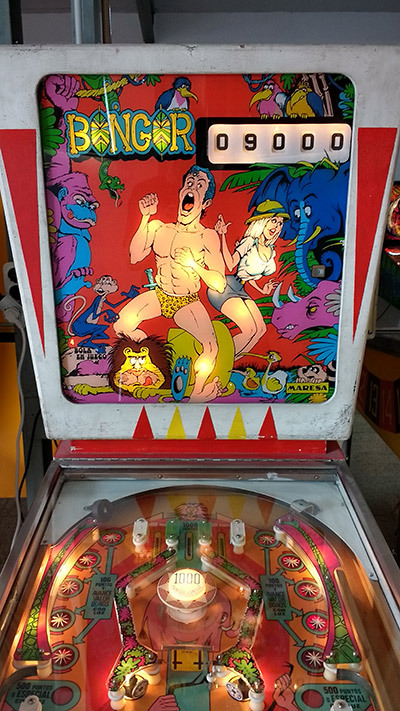 In the unlikely possibility anyone was still hungry or thirsty, additional snacks and drinks were available at very reasonable prices at a bar next to the free-play machines. Once breakfast was over it was time to start the serious business of the tournaments. 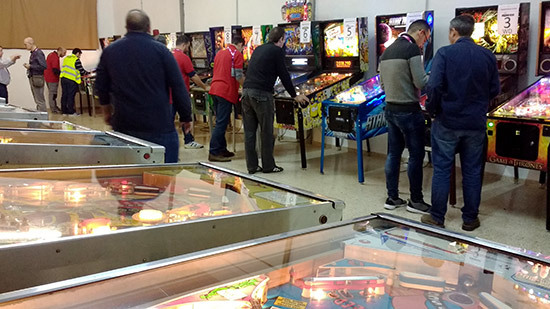 Both the modern and classics ran in parallel, with players able to play their games in either as they wished as long as they completed them all by the close of qualifying at 8pm. 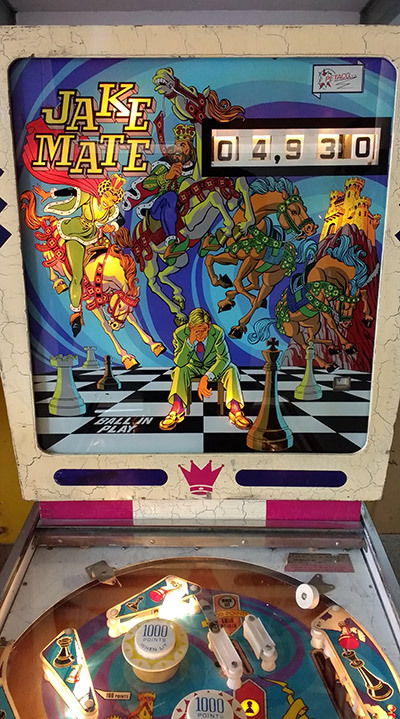 A magnetic board at the side of the entrance contained name plates for each of the twelve modern and twelve classic pinballs. 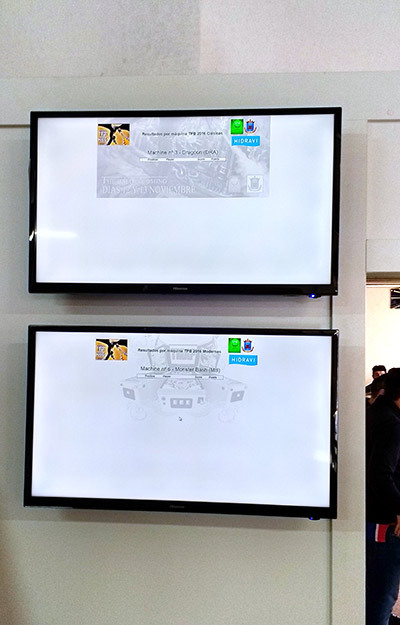 Players could choose to play any of the machines. 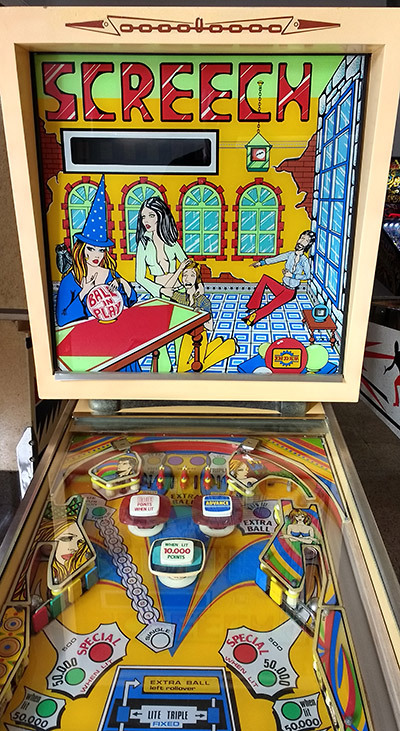 If the machine's name plate was on the board it was available to play right away, otherwise they had to wait until the current game was over and the name plate was returned to the board. 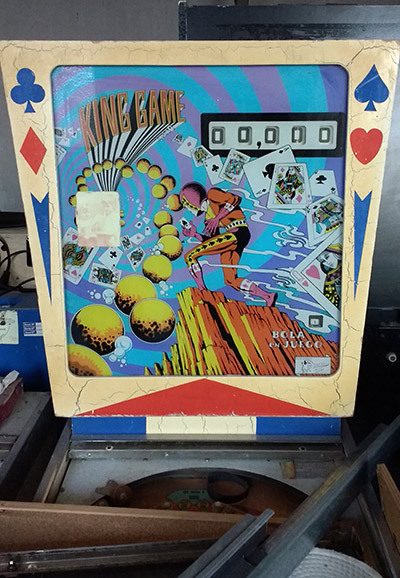 To ensure each machine was only played once by each player, as the name plate was taken their score card was punched to show the machine had been chosen. 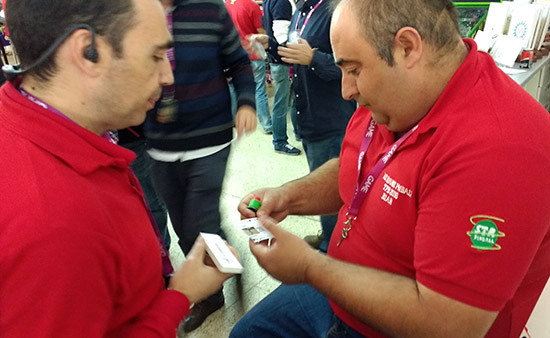 Officials started the games to make sure none were restarted by the players, and they also recorded scores on paper sheets - one sheet per machine - which were handed to the scoring desk when filled so the results could be entered into the computer system. 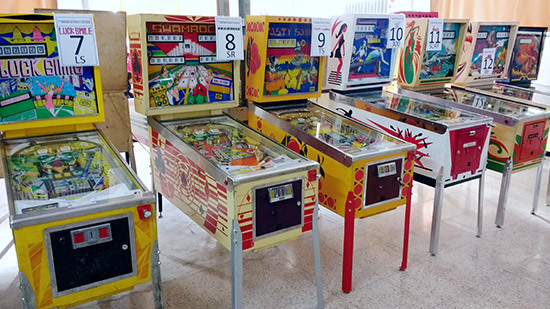 At times - and especially as competitors had played many of their games and were waiting for one of their final few to become available - the entrance to the tournament area became quite crowded, making it difficult to enter or leave or to access the magnetic name plates. 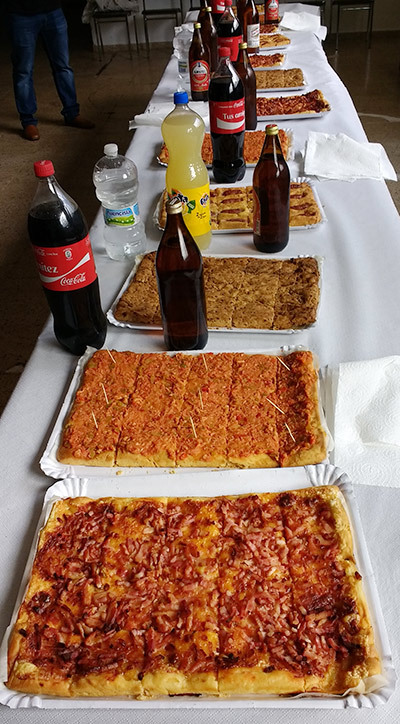 One thing you will quickly appreciate about Spanish tournaments - and Spain in general - is that food and drink play an important part in the overall enjoyment of life. 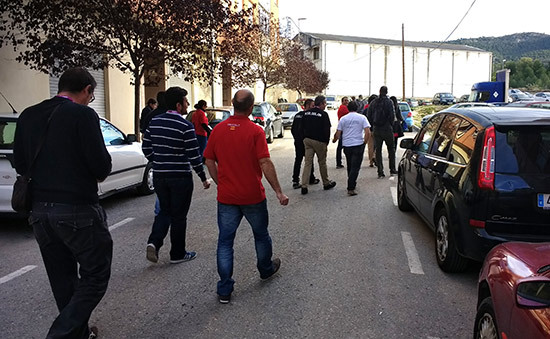 This weekend was no different, and so it was that at 2pm everything stopped so all the players and organisers could decamp to a nearby restaurant for lunch. 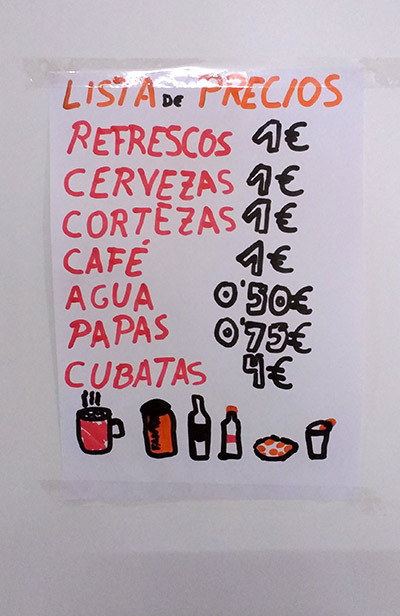 The lunch was an optional €20 extra but it seemed everyone signed-up for it. And why not? 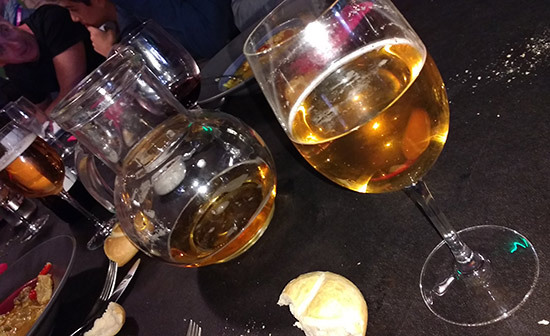 It consisted of five courses with all the beer or wine you wanted. 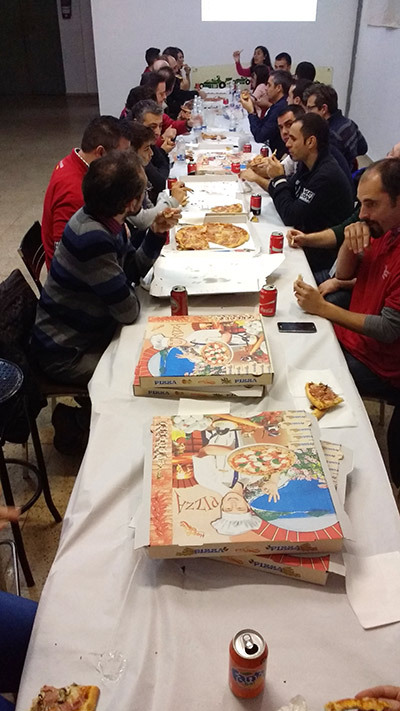 A very civilised way to run a tournament. 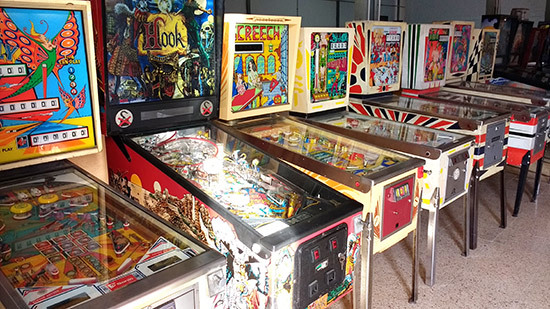 Lunch took two-and-a-half hours, after which it was back to the pinball hall to resume the tournaments. 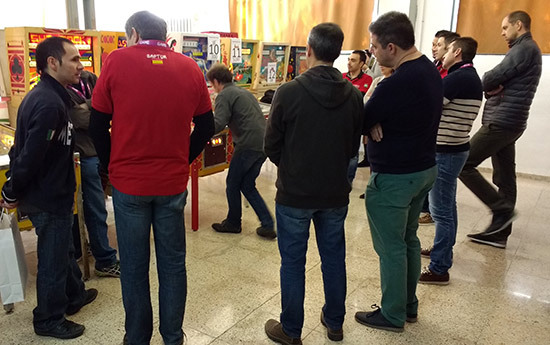 Because lunch took a little longer than expected, qualifying was extended by another thirty minutes to give everyone a chance to play all their games. 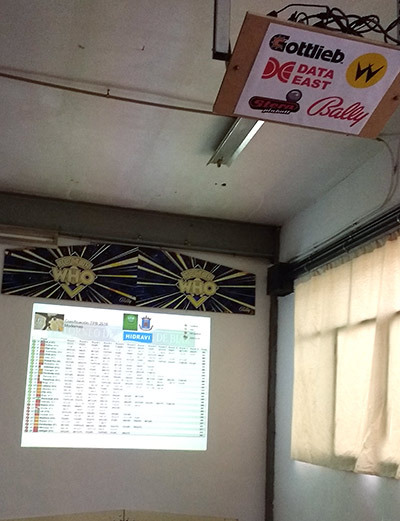 Overall standings were show on a projector screen in the dining area for the modern tournament and on a monitor on the bar for the classics. In both tournaments the top twenty players qualified for Sunday's play-offs, with the top four getting a bye through the first round. 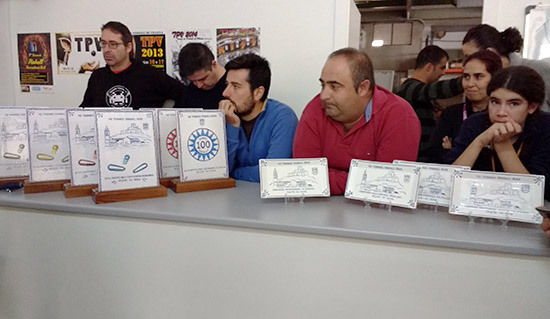 Once the qualifying period for players was over, the organisers played their qualification games, meaning the final standings in the modern tournament weren't known until later into the night. That meant an anxious time for those players on the border of modern qualification as the final few results shuffled their standings up and down. 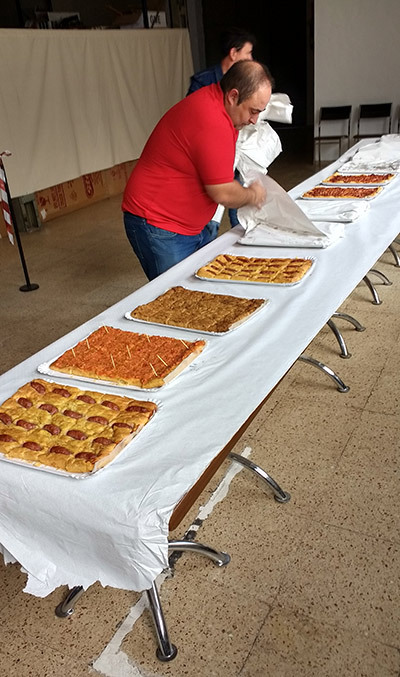 The tension was only partially relieved by the arrival of pizzas. 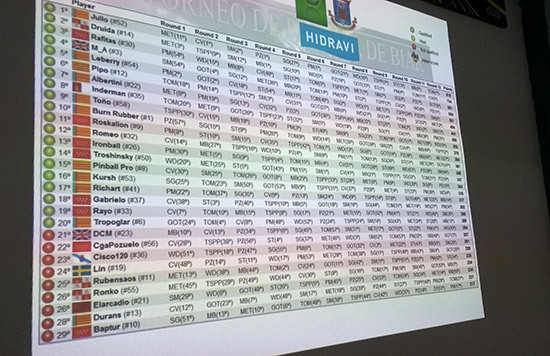 When all the results were in the computer the twenty who would continue on Sunday were revealed. 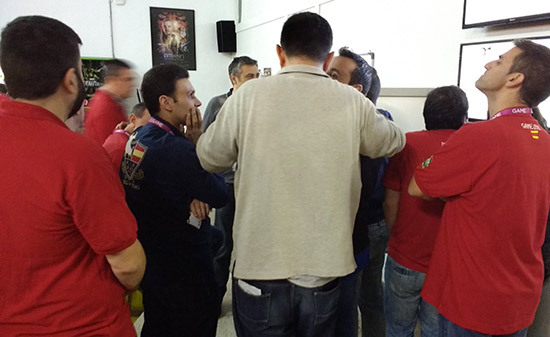 Nineteen of the qualifiers were Spanish players and there was one UK player. 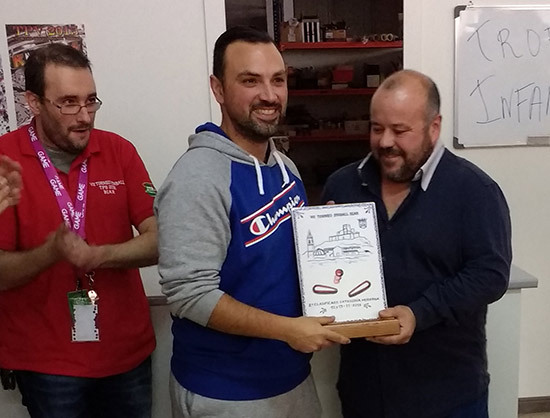 Of the twenty players who qualified for the classics tournament., eighteen were from Spain, one from Sweden and one from the UK. 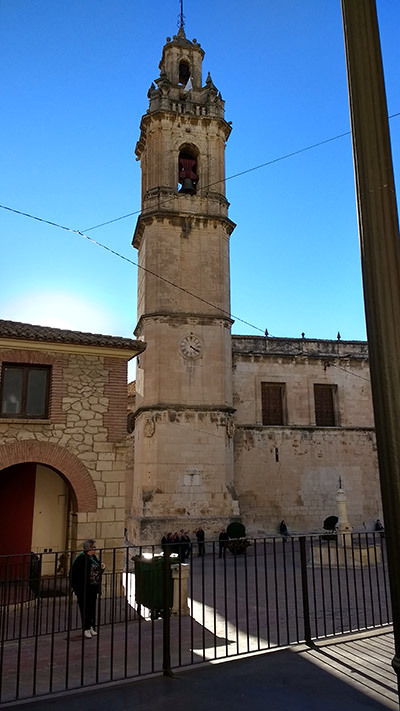 With all the qualifiers decided, it was back to the hotel for us (although we did subsequently pop out for a little nightcap in the town square before retiring for the night). 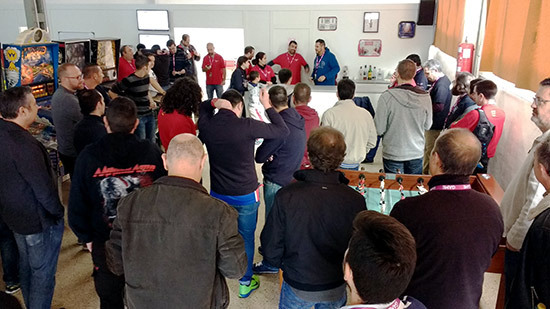 Sunday saw the play-offs in both tournaments as well as a number of side tournaments. In both tournaments, players in qualifying positions 5th-20th were put into four groups of four and played a single pre-selected machine. As long as they didn't get the lowest score of the group they progressed to the second round. 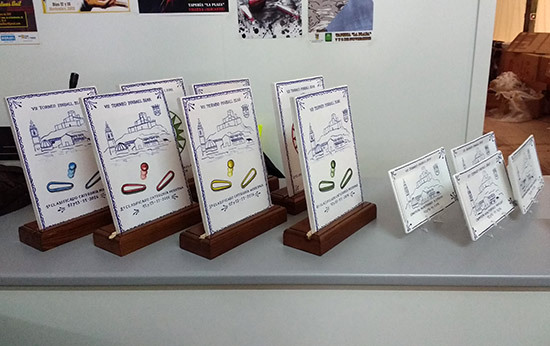 The lowest scorers in each of the four groups were out of the tournament. Those remaining sixteen were joined by the top four qualifiers for the quarter-finals and split into another four groups of four. 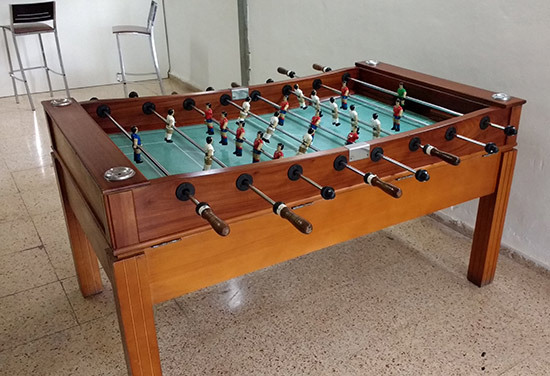 This time they played on two machines where points were awarded for position in the order 7-5-3-1. After both games had been played, the top two players in the group moved on to the next round - the semi-finals. 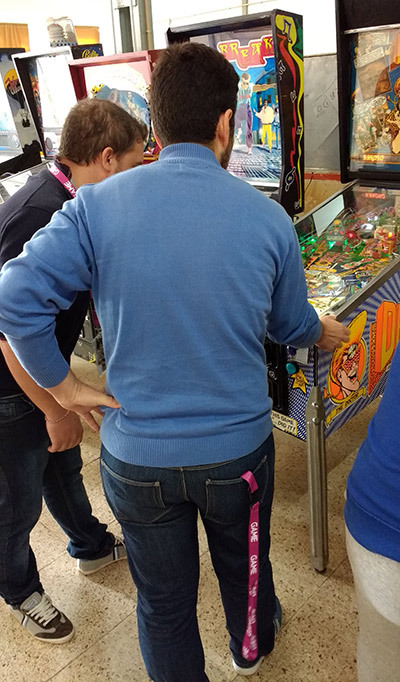 These eight again played in four-player groups, on this time they played on three machines with the same 7-5-3-1 points structure. The top two from both groups then moved on to the final. Rounds of the classic and modern play-offs alternated, although the classic reached the final four first. 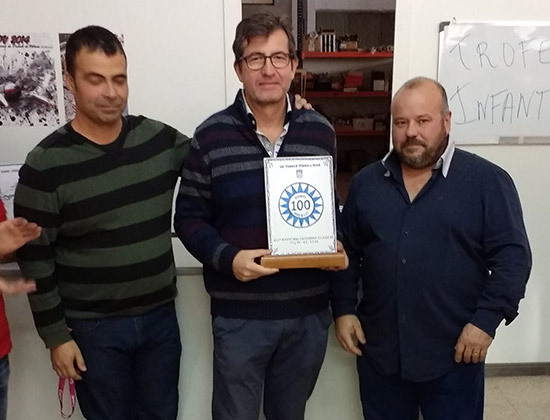 The classics final came down to a three-game series between Raúl Abad, César Dubón, Rafael Masedo and Marc Vallés. As in the first play-off round, all four played the first game with the lowest scorer dropping out into fourth place overall. 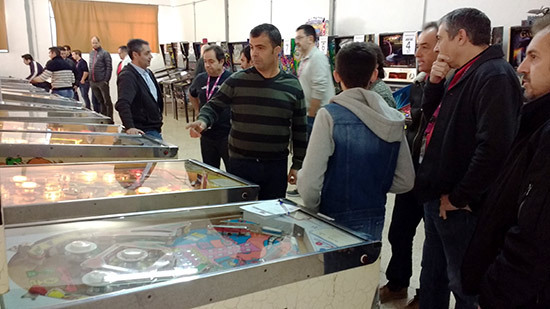 The first game was played on Fantastic World which was added for the play-offs together with Fantastic World and Master Stroke. 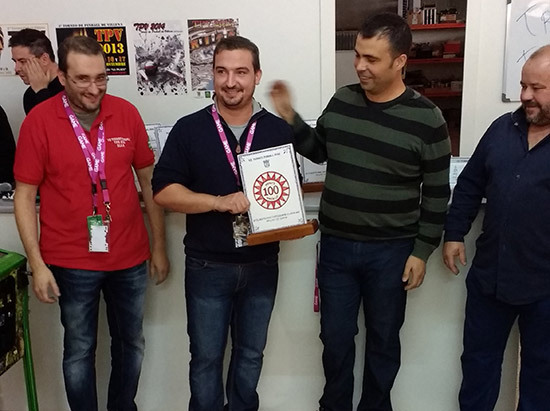 Marc was the lowest scorer here with 331,400. The remaining three moved on to Dragon where Rafael's third place score of 180,400 got him eliminated and gave him third place. 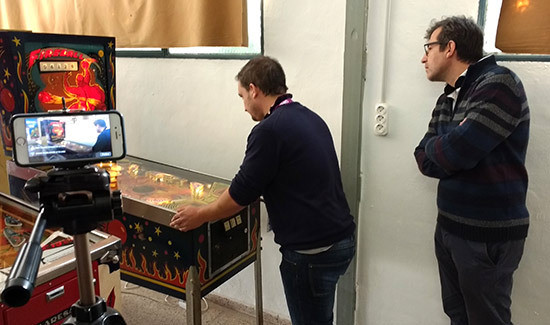 The final two of Raúl and César then played on Fireball to determine the winner and the runner-up. 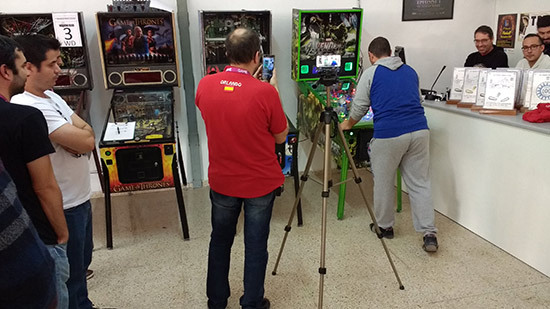 Raúl set a target of 43,030 but César beat that and ended his game with a score of 45,830 to take first place. Third placed Rafael Masedo had to leave before the awards were presented. In an unusual twist, any player who didn't make the final four in either the classic or modern tournament was placed according to their qualifying position, regardless of how well they did in Sunday's play-offs. 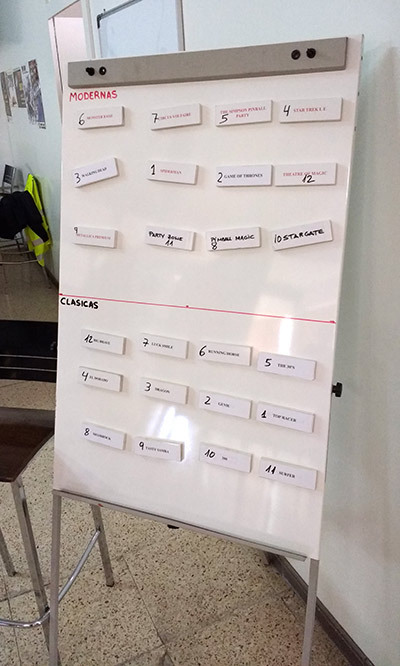 In the modern tournament the play-off rounds used the 7-5-3-1 points-based system until the final round which was played in the same format as the classic with one player being eliminated per game. 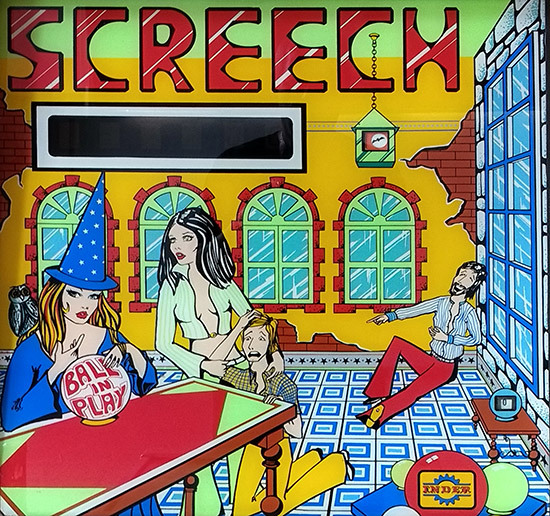 There was a tie in one of the semi-finals for the last place in the final four which was decided by a one-ball game on Party Zone. 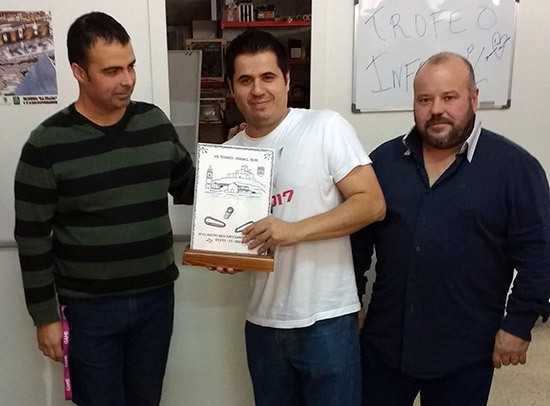 So the finalists in the modern tournament were Valentín Camarena, Gabriel Ortiz, Carlos Javier Parra and Julio Vicario. 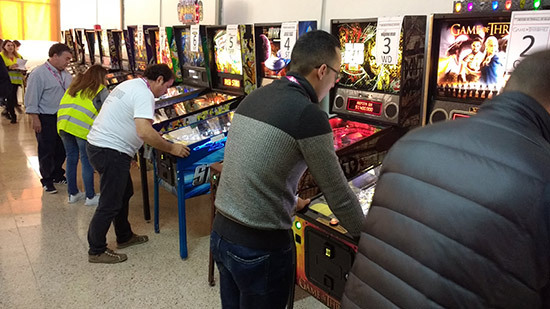 They began playing on Party Zone, but this proved the end of the final for Carlos Javier Parra who came fourth in that game and so fourth overall. The second game was Metallica. 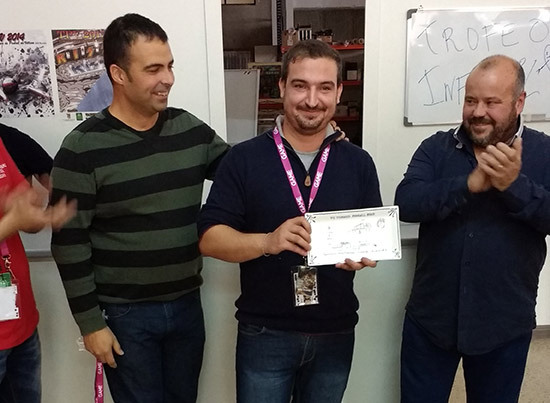 This time it was Gabriel Ortiz who came a cropper and took third place both in the game and overall. 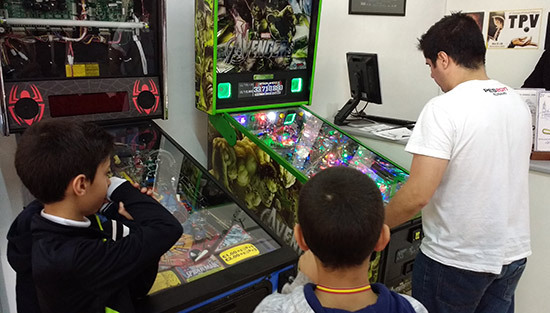 That left Valentín Camarena and Julio Vicario to contest the final on the last game which was an Avengers LE which was added along with Getaway and Bride of Pinbot for the play-offs. Julio put up an impressive 67M score on his second ball to Valentín's 11M, making quite a task for Valentín to catch him on the last ball. As it turned out he only got up to 17M before the ball drained and the final was over without Julio needing to play his third ball. Third placed Gabriel Ortiz had to leave to catch his flight before the awards were presented. 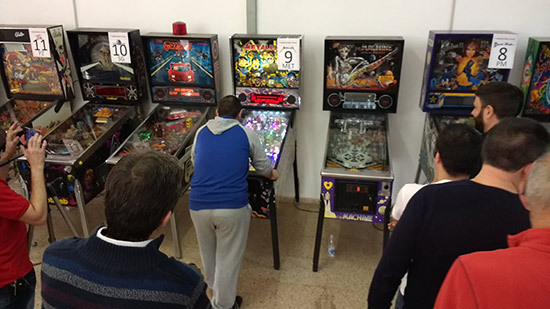 As we mentioned earlier, in addition to the two main tournaments there were three side tournaments. The first of these was a split-flipper competition on Dr Dude. 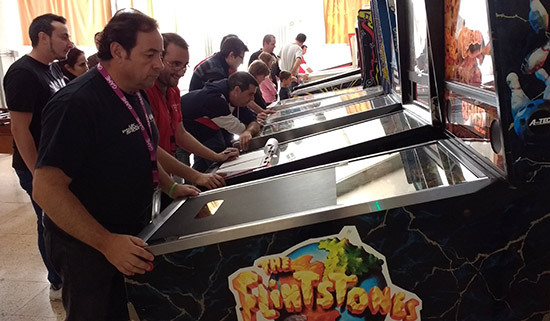 The second side-tournament was a crossed-hands competition on Whirlwind, while the final side-tournament used a Flintstones game with a cover over the playfield which only provided a small window above the flippers to see the ball. 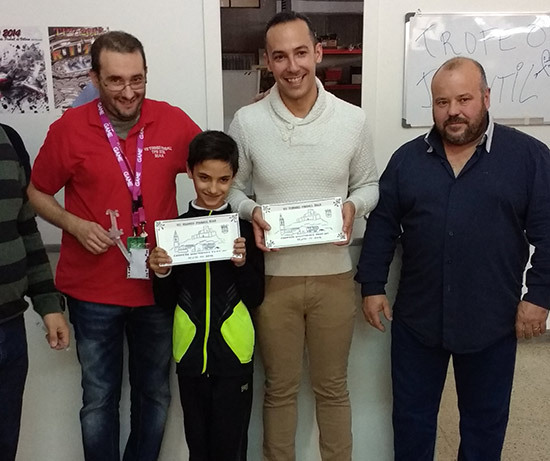 The Flintstones competition was won by Pablo Crespo Contreras, the crossed-hands competition by Raúl Abad and the split-flipper by Álvaro Vidal and his son. 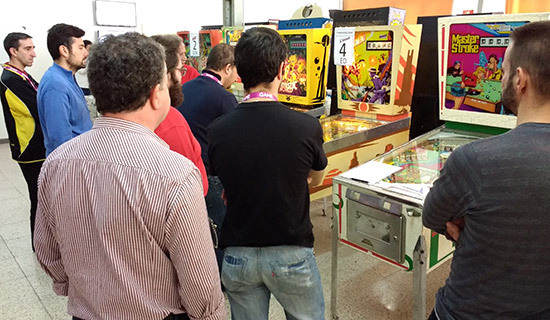 With all the awards presented, the Torneo de Pinball de Biar weekend came to an end. 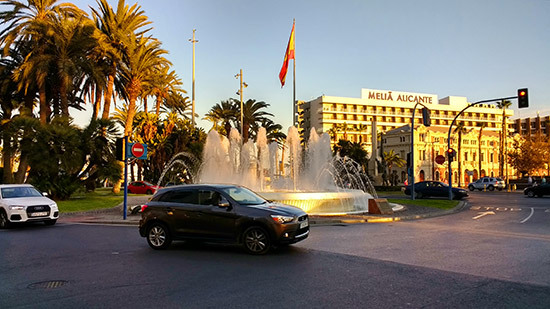 We also had a flight home to catch, but not before a stop-off in Alicante to enjoy the last of the day's sunshine and sample the local cuisine once more. 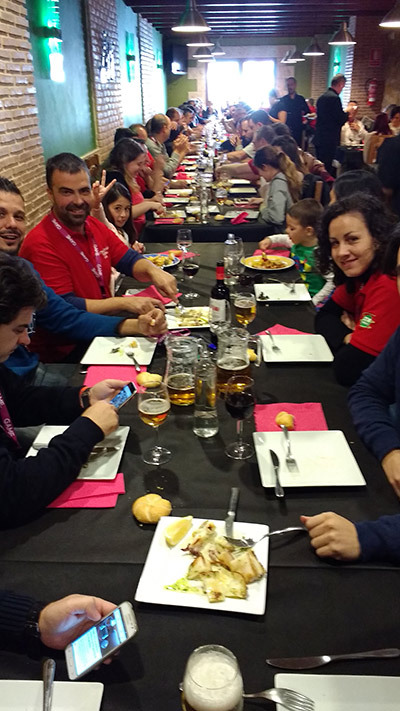 The relaxed atmosphere and schedule surrounding the Biar weekend was a refreshing change from the often frantic and hurried tournaments we have experienced elsewhere. 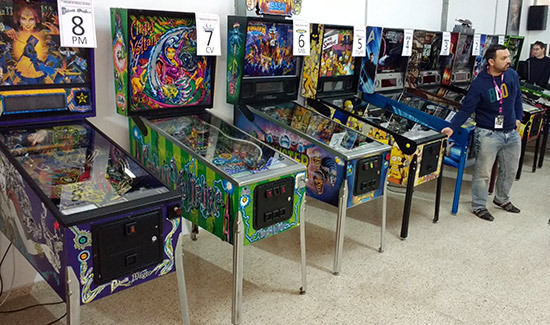 Having most of the tournament machines as part of a fixed collection certainly makes things easier for the organisers. 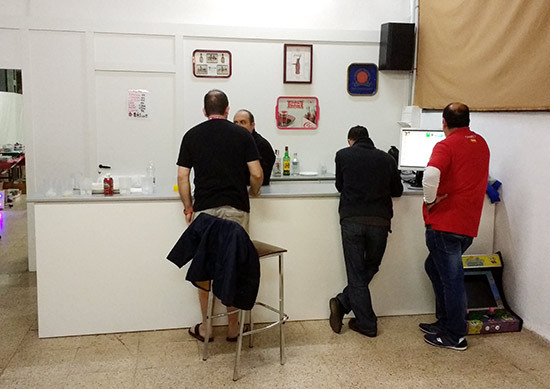 The Biar modern tournament was also Spain's nominated event for the IPFA European Championship Series, giving it added significance and bringing in a few non-Spanish players. 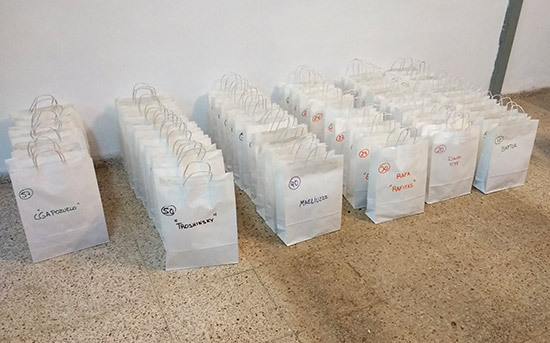 Those who hadn't played in the previous six Biar tournaments could have benefitted from more information regarding the tournament formats and the way the overall results were decided. 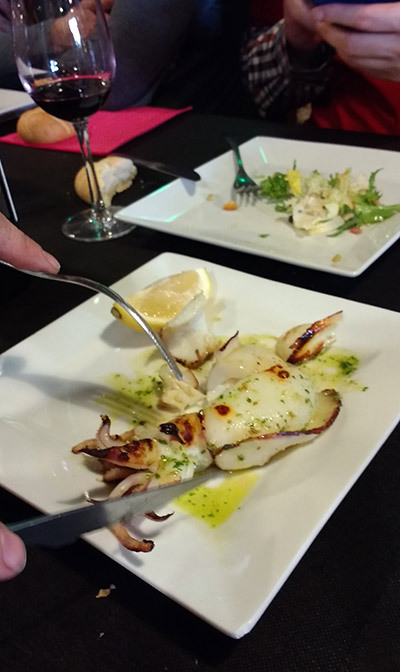 Nonetheless, the whole weekend had a uniquely Spanish feel of warmth - both social and temperate - which, despite the huge quantities of food consumed, left us hungry for more.